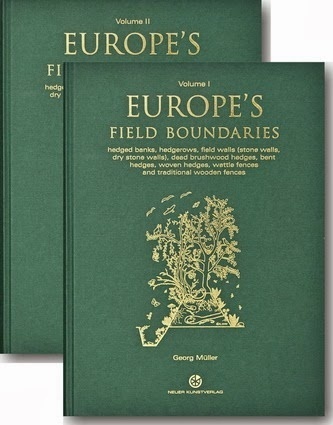 This book provides a wide ranging overview of the field boundaries found in Europe. An overview of the worldwide history, formation and geographical range of field boundaries is also provided. 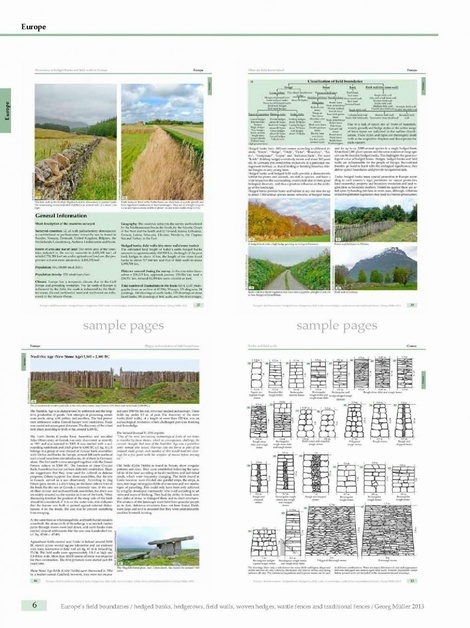 It provides a detailed documentation of hedged banks, hedges, field walls and traditional fences based on results from a survey undertaken over a period of 30 years in which photos were taken, drawings made, descriptions written and measurements were taken. This project was solely financed by the author. 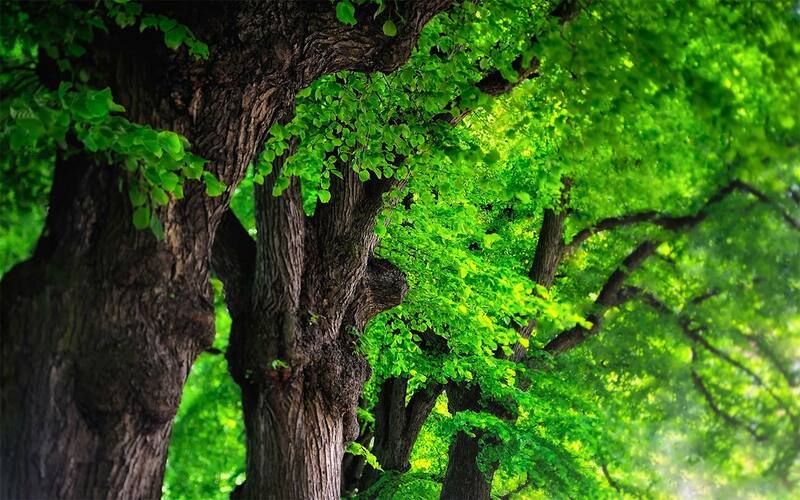 The appearance, function, characteristics, condition and woody growth as well as the different uses of the field boundaries are covered in detail. So too are the methods of cutting woody growth, weaving, bending and other types of maintenance. The loss of field boundaries, the extent of damage and the causes of damage, as well as newly built examples are also described. The book is split into two volumes. The first volume provides an overview of Europe, while the second volume is dedicated to detailed descriptions of the different countries surveyed. The historical description of field boundaries ranges from the Palaeolithic Age up to the present day. The hedged banks, field walls (dry stone walls and stone banks), dead brushwood fences, stick picket fences, woven vertical branch fences, wattle fences and other traditional fences are summarised, classified and their distribution illustrated. The woody growth on the banks and field walls is assessed and standardised. The tree and woody growth is evaluated and set out in tables. In addition, about 170 different earth banks, 160 stone faced banks, 10 peat banks, 330 field walls, 240 hedge styles, 70 dead brushwood hedges, stick picket fences, vertical branch fences, wattle fences and other traditional wooden fences are depicted in diagrams. Other types are described and illustrated. The significance of hedged banks and field walls to the farming industry is discussed as well as the economic implications of the creation of new ones. The effect of excessive cutting of woody growth on yields is also detailed. Amongst other topics covered are, international agreements regarding the protection of hedged banks, their ecological significance, methods of cutting and maintenance, as well as their influence on the hedge and woody growth structure, on the organisms therein and on the character of the landscape. 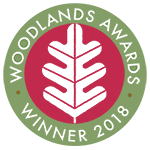 The book is aimed not only at landscape researchers and landscape designers, but also geographers, conservationists, landscape gardeners, foresters, hedge layers and dry stone wallers. Those who are interested in the origin, purpose and conservation of these important elements of our European cultural landscape will also find the text of interest.